Clyde (Pastor Chuck) graduated from Eastern College in 1977 with a B.A. in Religion and Easter Baptist Seminary in 1980 with a M.Div. He served the Liberty Charge (1980-1986); the Witmer’s Charge (1986-1999); and Calvary, Fayetteville (1999-2015) before being appointed to Hershey First in 2015. Pastor Chuck is married to Raneeta. They have three grown, married children: Elizabeth, Winton, and Colin. With his interest in the arts and his dramatic skills, Pastor Chuck enhances the worship of the congregations he serves. Following the example of Christ, he welcomes and includes the gifts of all ages. 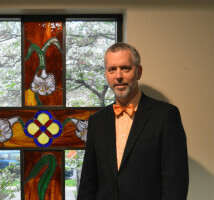 Shawn is Director of Music Ministry leading the choirs and praise teams and serving as organist. 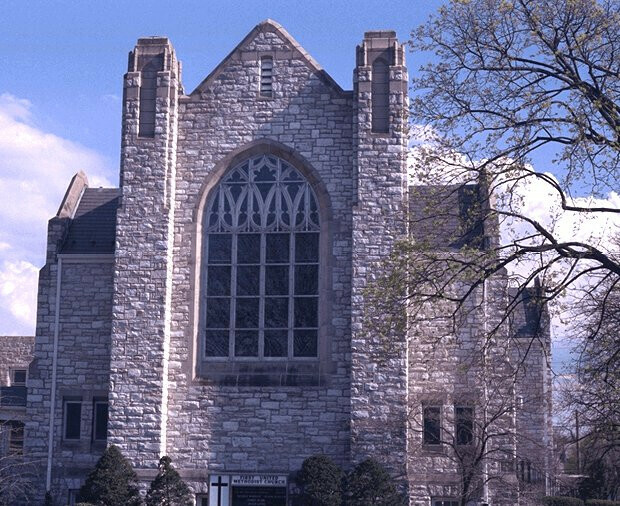 He holds undergraduate degrees from Lebanon Valley College, a Master of Music from Westminster Choir College, and the Doctor of Worship Studies at the Robert E. Webber Institute for Worship Studies. In addition to his church work Shawn is an adjunct music instructor at Messiah College in Grantham, is Artistic Director of Hershey Handbell Ensemble, is the Dean of the Harrisburg Chapter of the American Guild of Organists, and is the President of the Fellowship of United Methodists in Music and Worship Arts. Shawn and his wife Laura have four children: Peter, Sarah, Christian and Aaron and they reside in Elizabethtown. Cassie graduated from Millersville University with a BS in Elementary Education in 2010. She spent two years teaching in the School District of Lancaster before joining the staff at First Church in August of 2012. She resides in Elizabethtown with her husband, Peter; son, Crosby; and daughter, Grace. Cassie is passionate about serving and missions. In her spare time, she enjoys reading, walking, and spending time with family and friends. Stephen graduated from Messiah College in 2016 with a B.S. in Business Administration, concentration in Leadership, and a Minor in Youth Ministries. He began serving at First Church in January of 2016 returning to his hometown of Hershey where he graduated from high school in 2012. Stephen enjoys a great Bible study, deep conversations, playing pretty much every sport there is to play, eating peanut butter straight from the jar, hanging out with friends, and seeing people fall in love with Jesus. 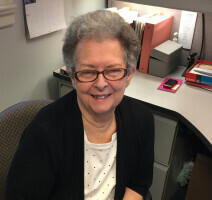 Susan has been a member of First UM Church since 1976. As an RN and Chaplain with PS Hershey Medical Center, she now ministers to folks of all ages and needs in the church and community. This is done through programming , compassionate care and support in time of need. Susan has served in missions to Haiti, Ukraine and for a year coordinating medical missions to Bolivia.